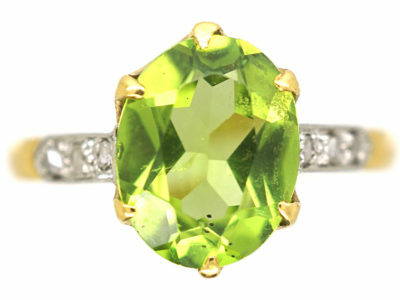 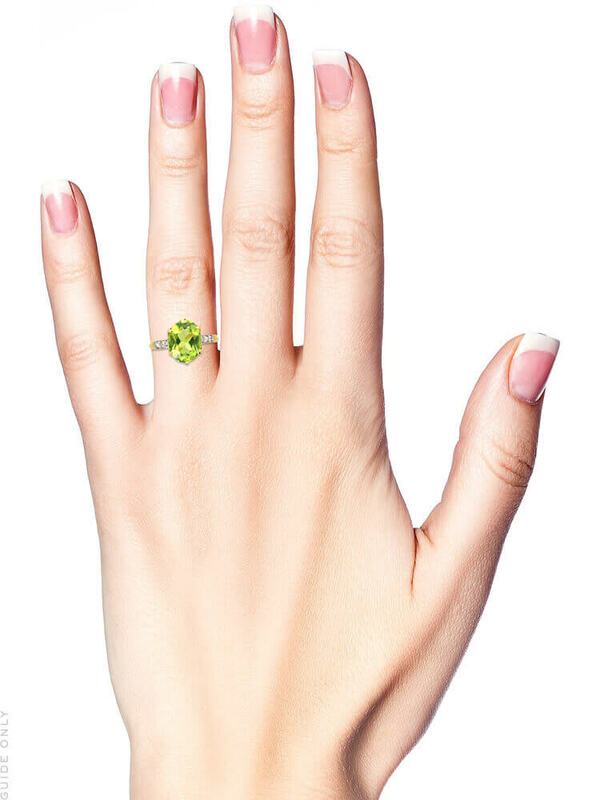 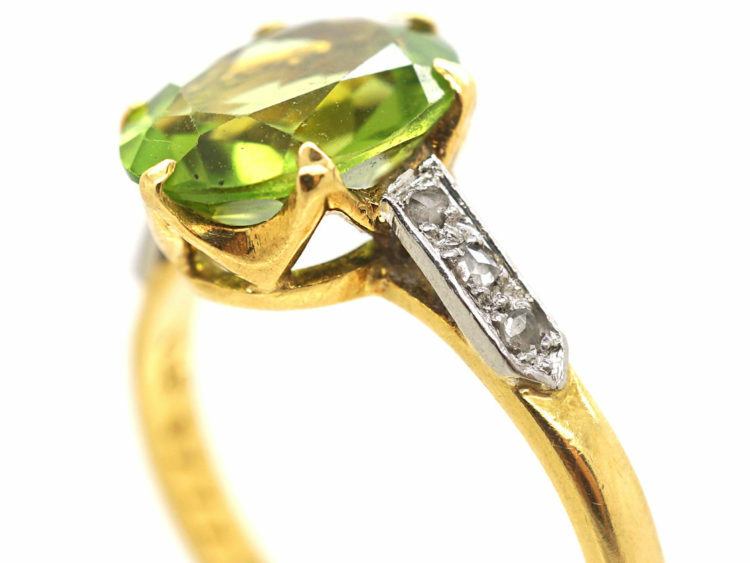 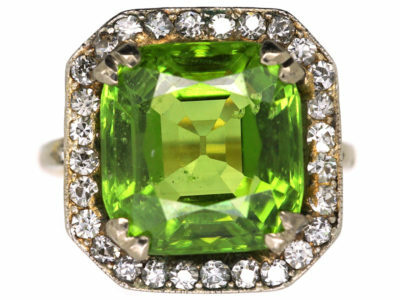 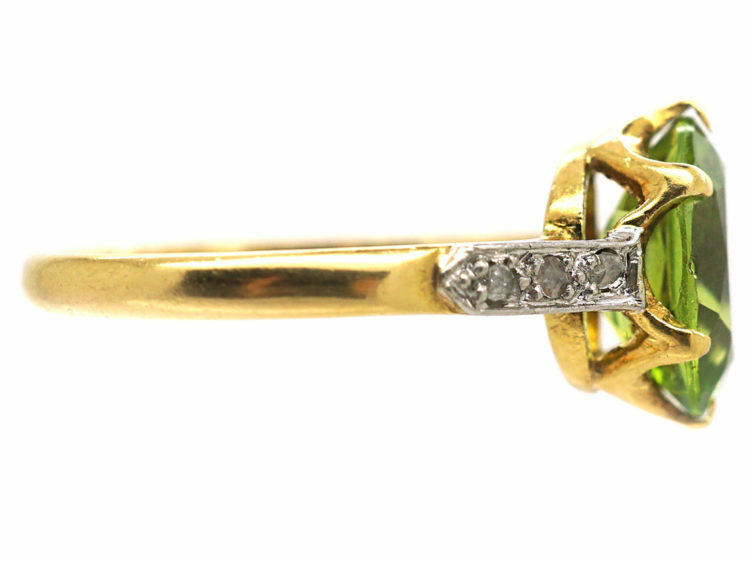 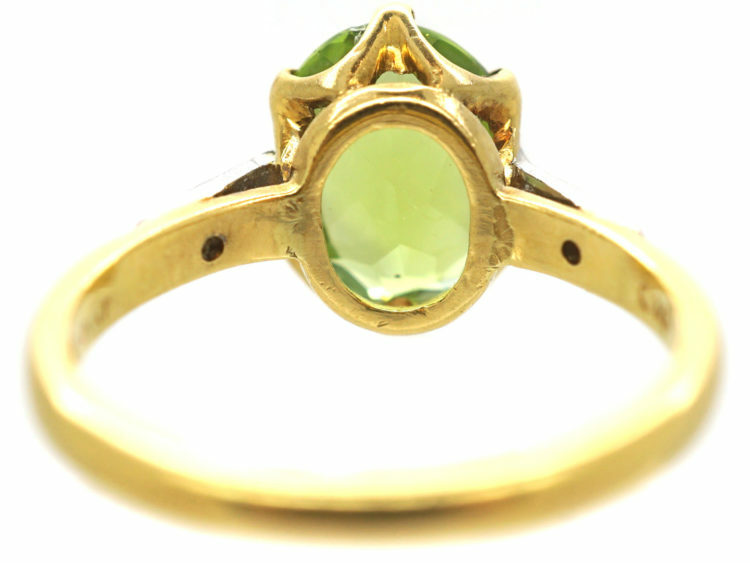 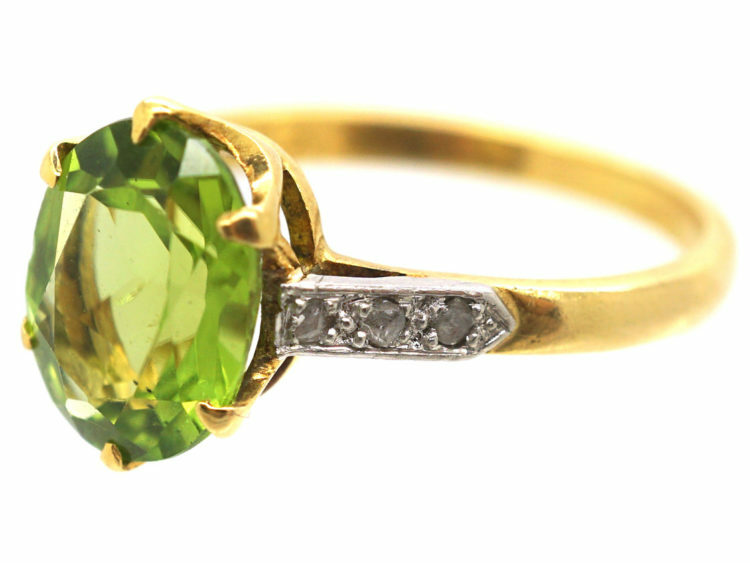 A lovely 18ct gold ring set with an oval cut beautiful green peridot. 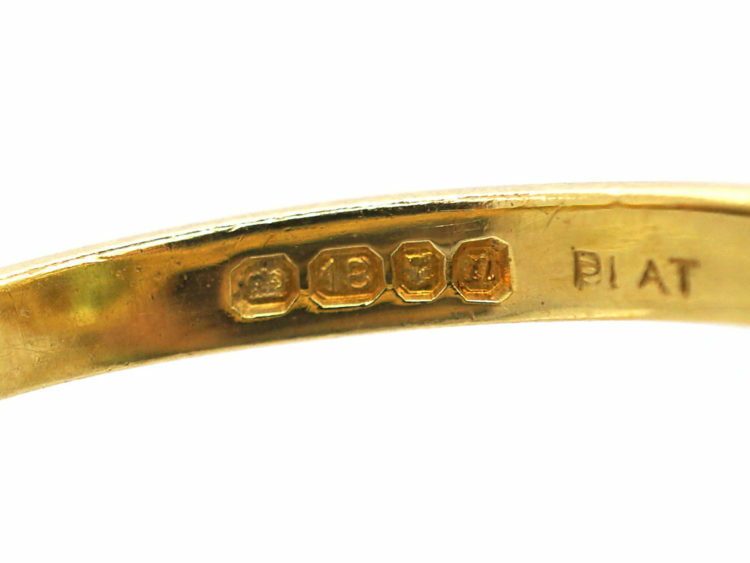 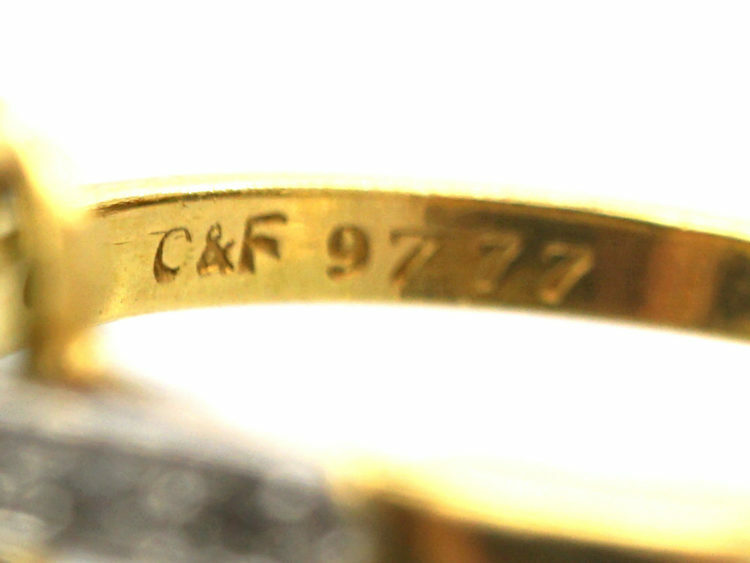 It was made by Cropp & Farr who were a well known company who operated from Hatton Garden. 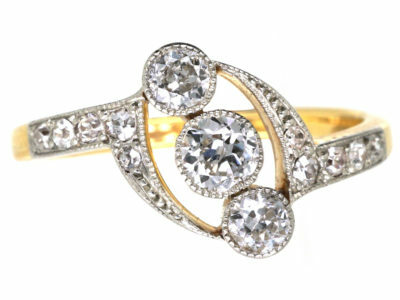 In the 1947 Olympia fair British Industries Fair they were listed as “Manufacturers of Fine Quality Inexpensive Gem-Set Jewellery, Specialising in Coloured Stones and Diamonds. 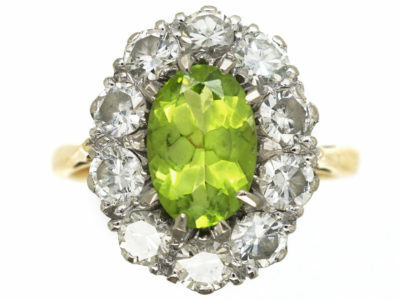 Aquamarines, Topaz, Zircons, etc also Gold Jewellery, Signets, Sporting Brooches, Charms, Cuff-Links and Gents’ Dress Sets”. 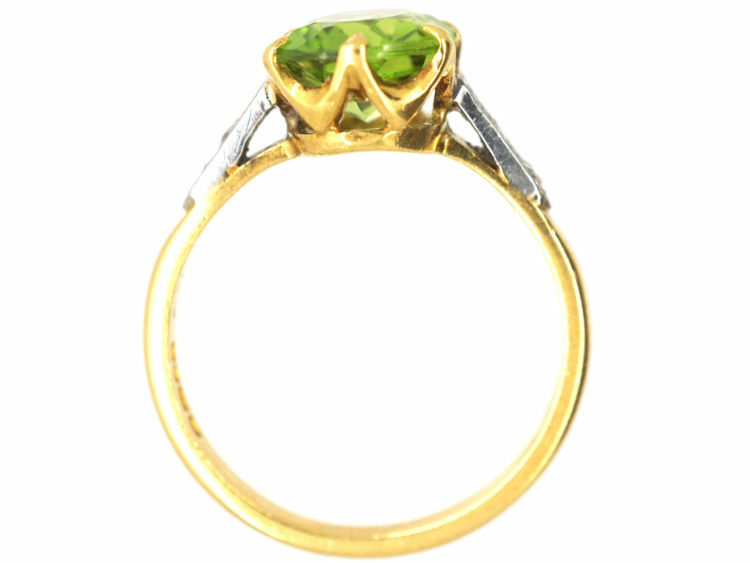 Their pieces are always well made and wearable. 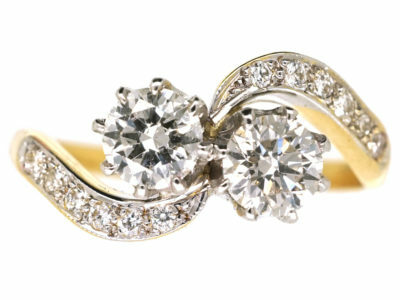 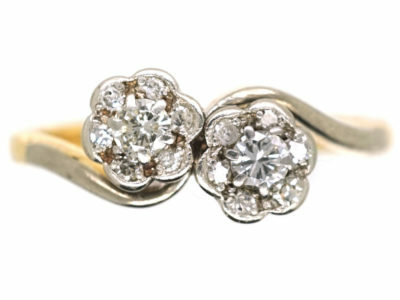 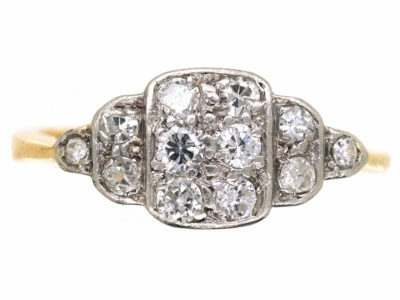 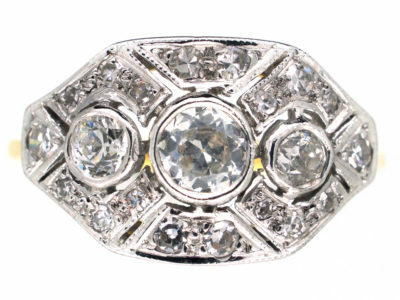 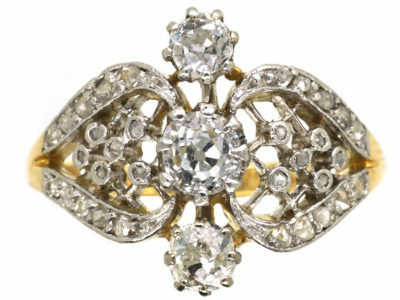 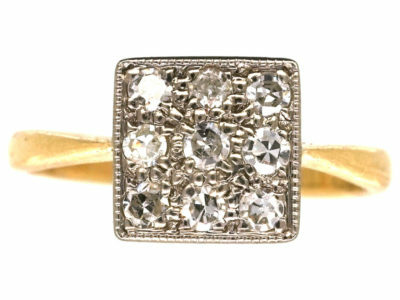 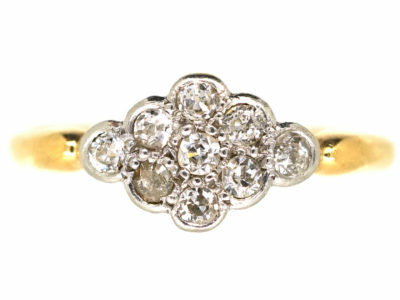 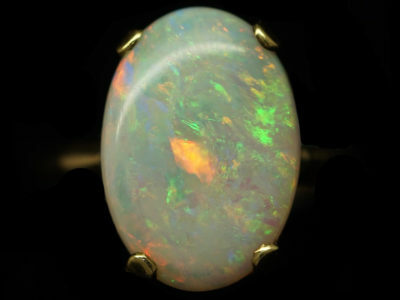 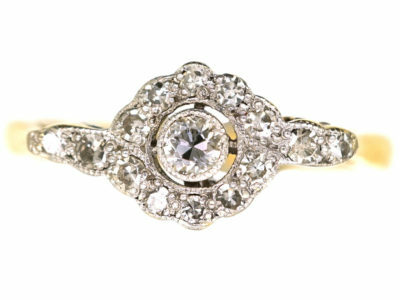 This is a beautiful ring that could either be worn as an engagement or a dress ring.